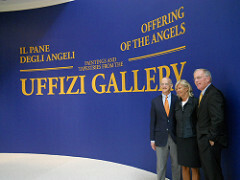 Contessa Maria Vittoria Colonna Rimbotti and Dottore Manuel Guerra greeted guests and provided opening remarks to introduce the exhibition “Offering of the Angels: Tapestries and Paintings from the Uffizi,” which premiered at the Museum of Art | Fort Lauderdale on November 17, 2011. 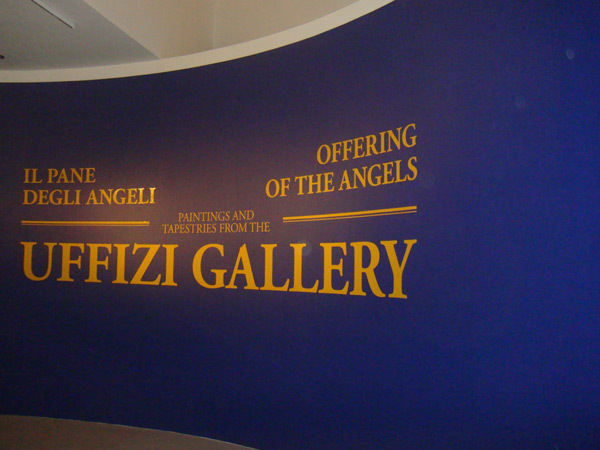 This stunning exhibit brought 45 restored paintings and tapestries from the Uffizi Gallery to four museums in the U.S. 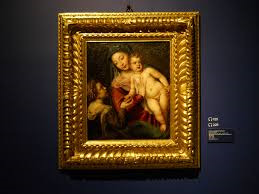 The centerpiece of the exhibit was a stunning work by Botticelli titled, “Madonna with Child (Madonna della loggia),” and dated circa 1466-1467. 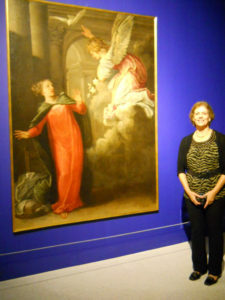 The exhibit also showcased the documented restoration of Titian’s “The Madonna and Child with Saint Catherine of Alexandria” dated 1550 to 1560. 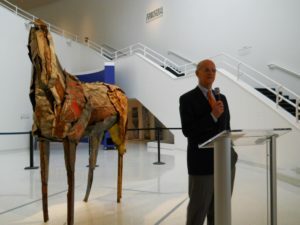 After leaving the Museum of Art | Fort Lauderdale, “Offering of the Angels” traveled to the James A. Michener Art Museum in Doylestown, Pennsylvania, Chazen Museum of Art in Madison, Wisconsin and concludes in 2013 at the Telfair Museum, Jepson Center for the Arts in Savannah, Georgia.